Do you remember this toy from your childhood? The Magic Slate. In German, the Wunderblock. The novelty of the apparatus consists in the ability of the pad to retain impressions, such as drawings, and like a normal slate, the impressions can be erased, but not by an eraser but by simply lifting the page. Presto. Freud and Derrida loved this thing. Freud liked it because the Magic Slate is a model for the human mind. 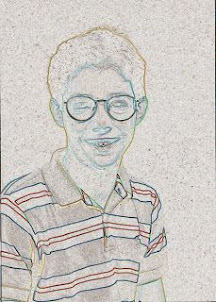 Psychoanalysis! Derrida liked it because Freud's reading of it seems to suggest the unconscious is inhabited by writing and is prior to speech. The stylus is used to write, scribble, or draw on the transparent plastic sheaf which creates an impression on the middle thin layer. When the sheaf is lifted, the thin papery layer which exists beneath it is erased of its impression. At the bottom, a resinous wax layer exists which retains inscribed in the resin the residuals, or traces of all previous impressions. Freud wrote a short seven-page essay called "A Note Upon The Mystic Writing Pad." He wrote the essay to explain his theory of memory via the working apparatus of the Wunderblock. The outer coating represents the protective layer of the mind. The layer protects the mind from too much excitation. Notice if the thin paper layer is torn or contaminated the Wunderblock ceases to work in the same way that trauma can irreparably damage the psyche. The stylus represents a stimulus from the outside world. The papery layer is the conscious mind and the wax resin is representative of the unconscious. The memory of the present can be erased, but like the mind, retains the impressions in the unconscious. The Wunderblock can both destroy and create. 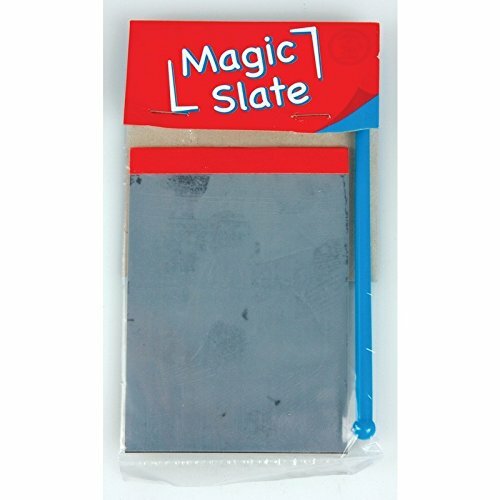 Freud thought the Magic Slate was the closest machine resembling the human mind. The only difference between the Wunderblock and the human mind is the mind's waxy resin layer can come back and disrupt the psychic life. Notably in dreams and trauma. Derrida, in an essay called "Freud and the Scene of Writing" was astounded that Freud, as a metaphysical thinker, could have inadvertently stumbled upon a machine that is a metaphor for the techné (production) of memory. Derrida wonders how Freud could have imagined the Wunderblock to represent the psychic life while not realizing that the fundamental essence of the toy, like the mind, is its reserve of graphical traces, not phonetic signifiers. I wonder what Freud would have thought of the iPad? Or Derrida? I'm sure both would agree the iPad, nor any machine, can resemble the mind.